It’s been almost two months since my last one, which means it’s time for another progress report! I got a lot done in the past two months, and i’m happy with what I got done, but it doesn’t feel like enough. I had a little mid year crisis in July, where I felt like I hadn’t accomplished anything. Six costumes in seven months isn’t bad, but i’m not particularly happy or proud of any of those projects. So I sulked about that for a bit, then got super motivated and completed five projects. Which is awesome, but would be more awesome if I didn’t feel like I need to make up for the previous seven months where I got so little done. I’m mostly over that now, and i’m feeling enthusiastic about new projects, so I think it was just a temporary sewing slump. I felt this way around the same time last year too. I guess July isn’t a good month for me! Anyway, onto what I got done in july and august, and what I plan to do in the coming months! I promise the rest of this post is happier than that intro! 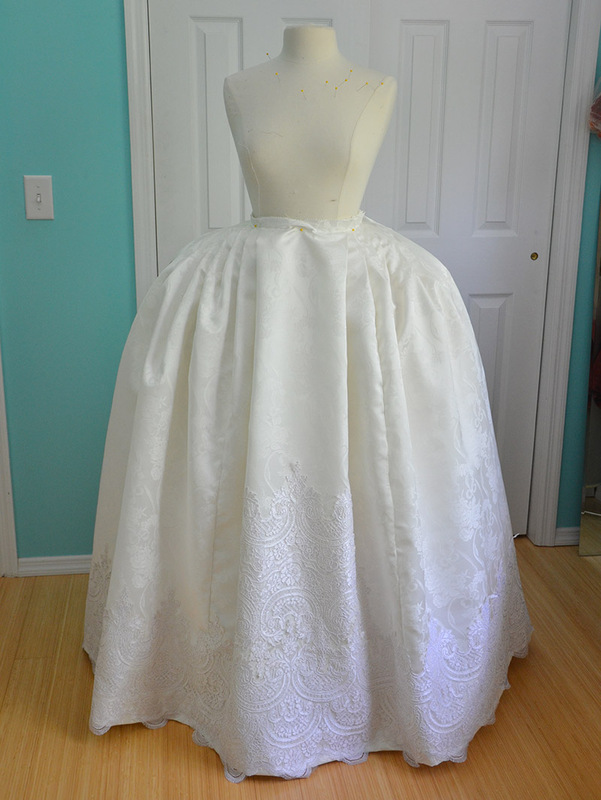 I started and finished my Heinrich inspired dress. I also made two headpieces to go with it. I mentioned in my last progress report that I wanted to make this and I’m so happy that I did. This really got me out of my “sewing slump” and left me with enough enthusiasm to finish up some frustrating projects. I’m really pleased with how this turned out, I wasn’t at first but now I really love it. A couple weeks later I decided to take on another fast but relatively elaborate project, which is based off of a portrait of Ana de Mendoza. I’m very pleased with this costume as well, I think it and my Heinrich inspired dress are tied for my favorite projects of this year (so far). I really like both of them, and I like wearing them. I also made a dress out of ikea curtains – I don’t know if this really counts because I made it in a day, but I figured it couldn’t hurt to mention! 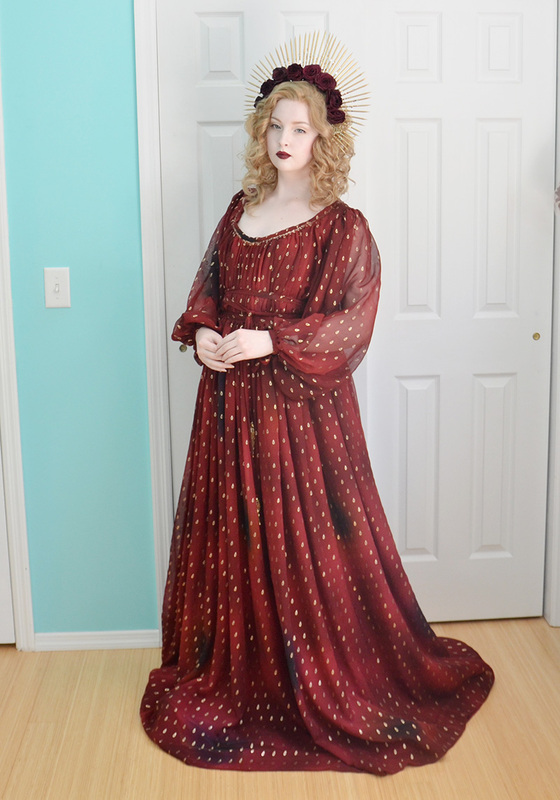 I like how this turned out, but I definitely prefer my more elaborate historical ensembles. I also finished off two projects that had been dragging on, and they are both short fashion-y dresses. This month I came to the realization that I need to take a step back from the fashion and fantasy projects. I started doing them as a fun “break” from the complicated historical pieces but they really aren’t. I don’t enjoy making them as much, they aren’t valuable in my portfolio, and they tend to be just as time consuming and expensive to make as something like my Heinrich dress. 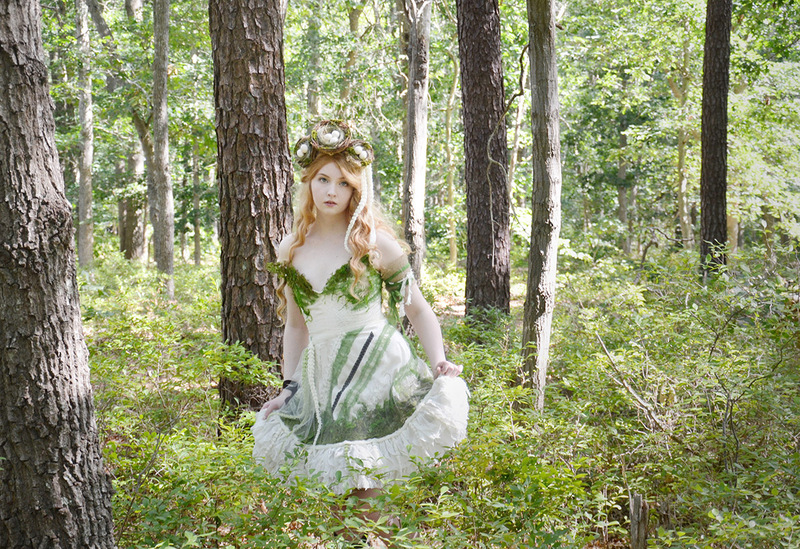 In fact, my Cinderella dress took over two months and the Forest Sprite took a solid two weeks of on and off work. My Ana de Mendoza costume and Heinrich dress were each made in less than a week. I have a couple more fashion projects planned, but they will be hugely different in silhouette and design from anything i’ve done before. Or they will be truly simple projects I can make in a day, like my ikea curtain dress. No more of making these short fluffy dresses just for the sake of it! 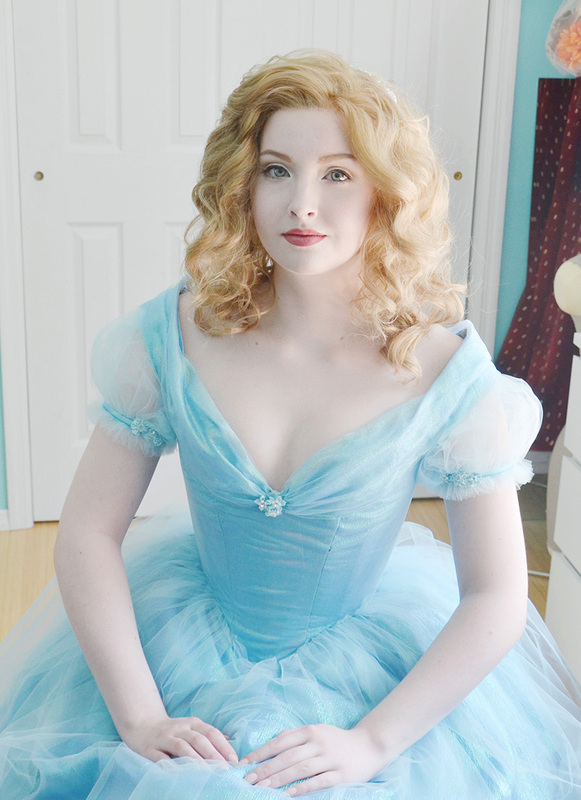 Here is my Cinderella dress! This took ages, everything that could go wrong went wrong and it was a battle to get it finished. But I made it to the end, and it turned out pretty cute! 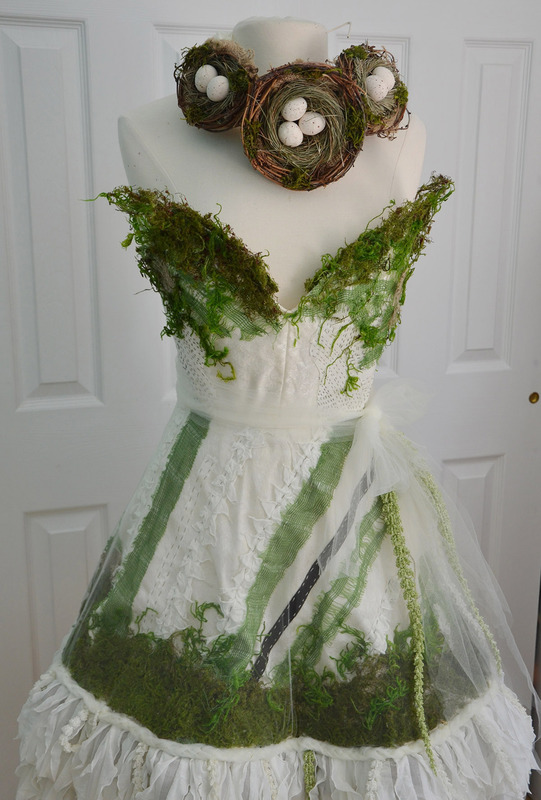 The other fashion project was a Forest Sprite costume, inspired by materials that were on sale at Michaels. This wasn’t fun to work on for various reasons (one of which being my allergy to burlap and moss…two materials that are prominently featured in this costume) which i’ll go into more when I blog about the process. I also got photos of a couple projects. One of those is my brown menswear ensemble. And another is the Forest Sprite. I haven’t finished editing this set, so i’ll be a couple weeks before I post them, but here is one i’ve finished. 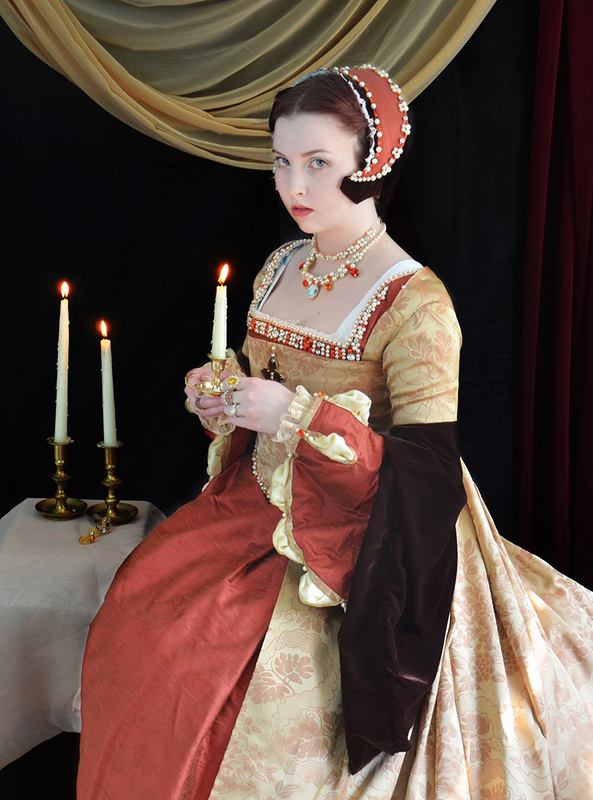 I mentioned last month that I wanted to take some painting-esque photos of my Tudor costume. I attempted to do that – I even set up a backdrop and lighting! It kind of worked, but the fake drapery I used looked really bad and my room was too small to include the hem of the dress in the photos. I plan to attempt this again, but I have to make proper velvet curtains and hang a curtain rod in my room…so it might be a while before that happens. I think my photo goal for this month is to take photos with flowers. 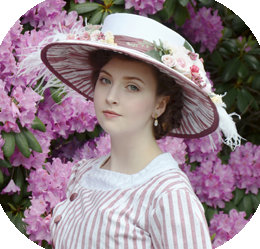 I have a half dozen costumes which haven’t been photographed outside my sewing room that would look really nice in a garden. I want to accomplish that before autumn and winter come. The only problem is finding a garden that would allow it. Now, lets talk about things I’ve started and should be finishing soon. I’m mostly done with a regency gown. I really love the fit and shape this has, and i’m excited to complete it. The only thing I don’t like (and it’s a big one) is my material choice. This dress is also made out of a set of Ikea curtains, when I bought them the print reminded me a lot of this chintz dress that I love. Once I turned them into a dress I began to realize how modern this floral print looks, and now I’m less happy with it. But i’ll carry on and get it done! Hopefully blog posts about this will be up soon. I’ve also been working on the 18th century project I mentioned in my last progress report. I raised the waistline of the skirt (the hem is straight, so it has to be pulled up from the top to sit evenly over the panniers) and pleated it. I had planned on beading the lace elaborately, and I started with a ten inch test section. Unfortunately it looked really bad, and I much preferred the look of the lace without it. So I removed the beading and have decided to leave it this way. I’m a bit bummed about this, but I think it was the right decision. 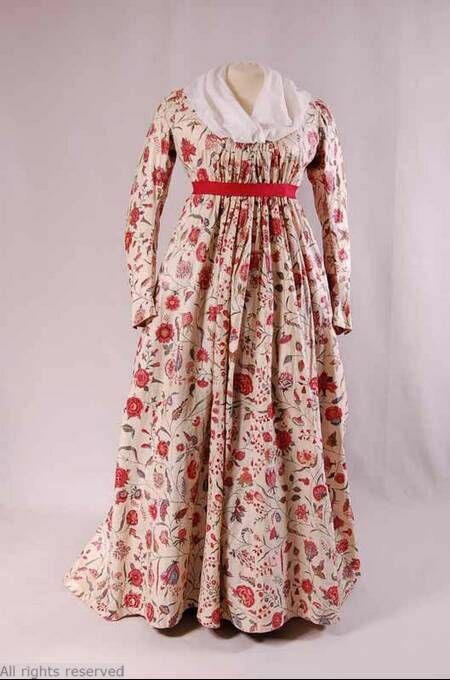 Since it won’t have pink and gold beads on it I feel like this dress will better suit the colors in winter (it will be paired with a red riding coat). I’m still going to finish sewing on all the lace and plan on drafting the sleeves for the bodice in the next month or so, but i’m not in any rush to finish. 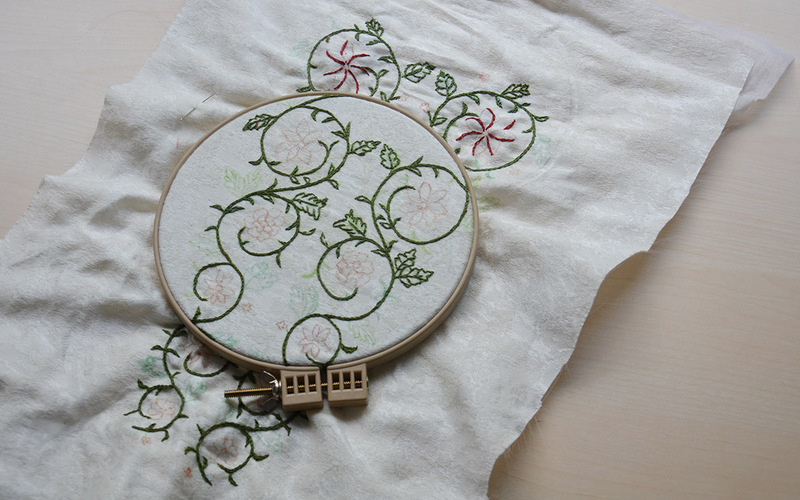 The final thing I have in progress is a stomacher i’m working on embroidering (I stole the pattern from photobucket, I hope that doesn’t offend anyone). Before this i’d never embroidered before, so it’s been a learning process. I’m terrible at making this symmetrical, but aside from that i’ve really enjoyed it! I work on it whenever I have TV to watch. 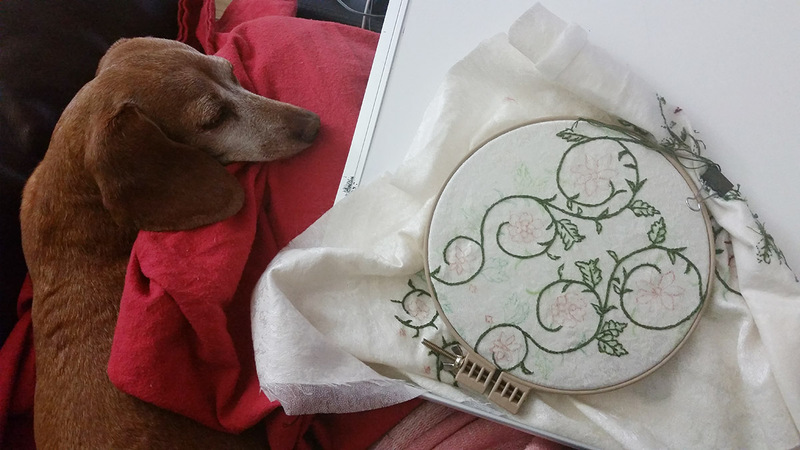 It’s nice having a small handsewing project I can do on my lap. I usually use a whiteboard as a table that rests on my knees, and Guin sits next to me while I work. I’ve been really into crappy reality shows on the History channel and watching Friends on netflix. The design for the project which will use that stomacher is still a mystery. I want to make a 17th century ensemble (I have enough 18th and 16th century project planned) but they didn’t have colorful embroidered stomachers during that time. 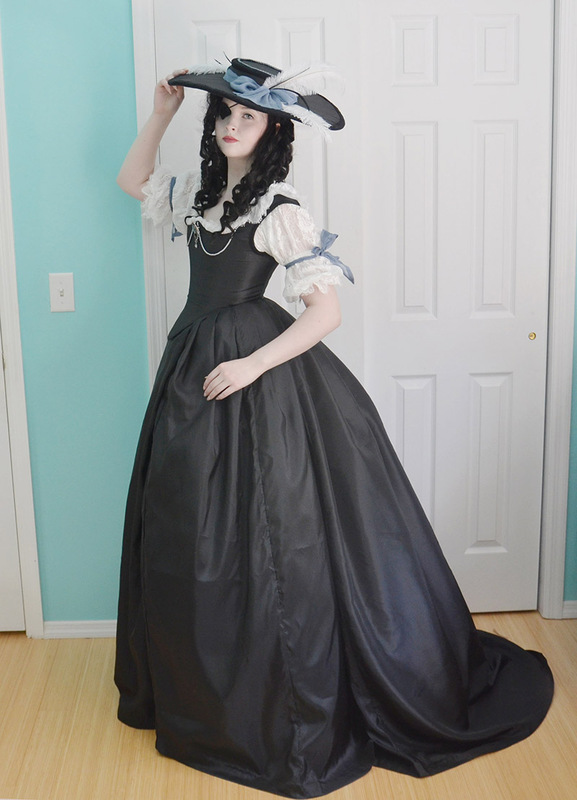 I think i’ll ignore historical accuracy and go with the silhouette of the 1630’s with the colors and fabrics from the 1560’s. It won’t be accurate, but it will be pretty! 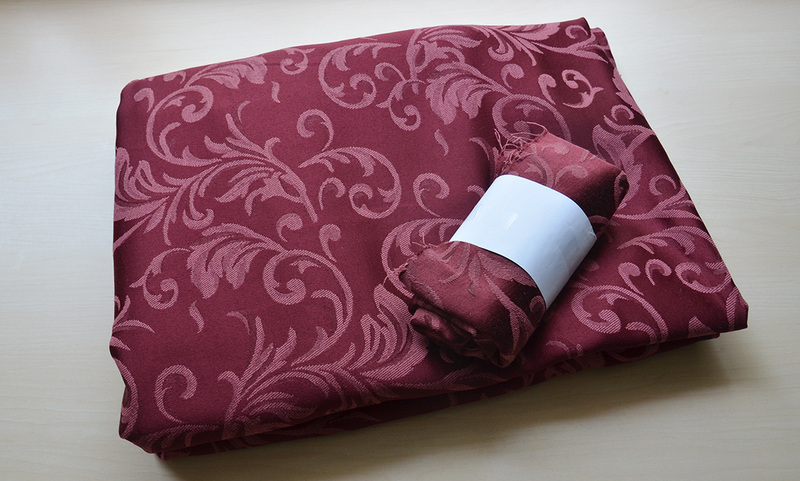 Even though the design doesn’t exist yet, i’ve bought fabrics for it! 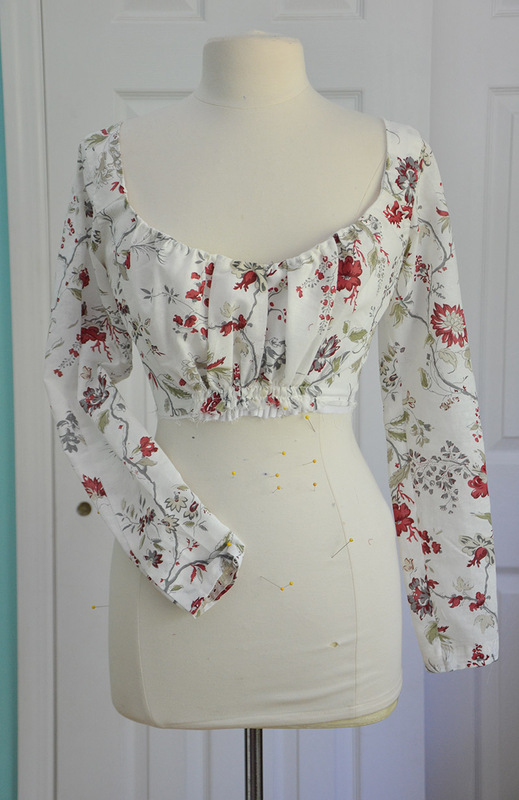 During Joanns student discount month I picked up supplies for a fashion project – I know what I said earlier, but this one has a very different shape and i’m really excited about it. I’m not making it because I want a break from historical things, i’m making it because i’m enthusiastic about the design. 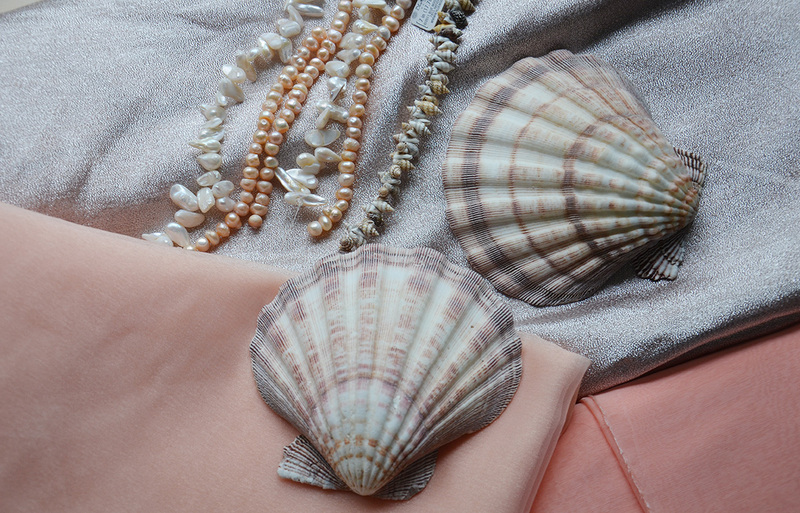 It’s going to be a mermaid inspired dress made from glittery and sheer materials, and decorated with rhinestones and shells. 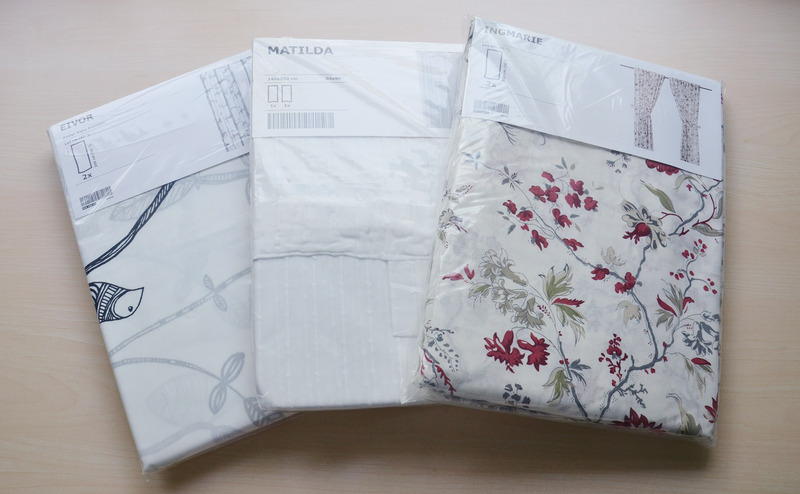 I’ve mentioned these a couple times (and already used two sets…) but here are the ikea curtains in their original form. Two of them have already been turned into dresses, and i’m hoping to do the same with the final set later on this month. 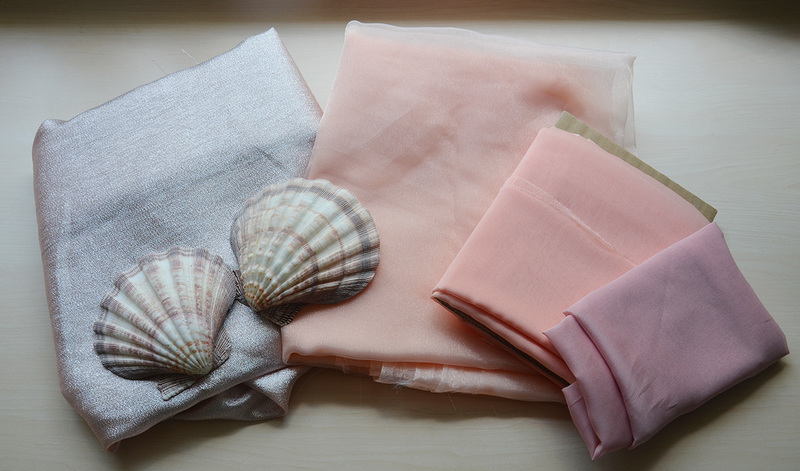 It’s a beautiful lightweight cotton gauze that is very soft . When I saw it I knew immediately that I wanted to make a Chemise a la Reine of it. I’d really like to get that started (and finished) soon since it’s a summery style of dress, but I don’t have the materials for a matching sash or hat. So I might put this off for another month or two. 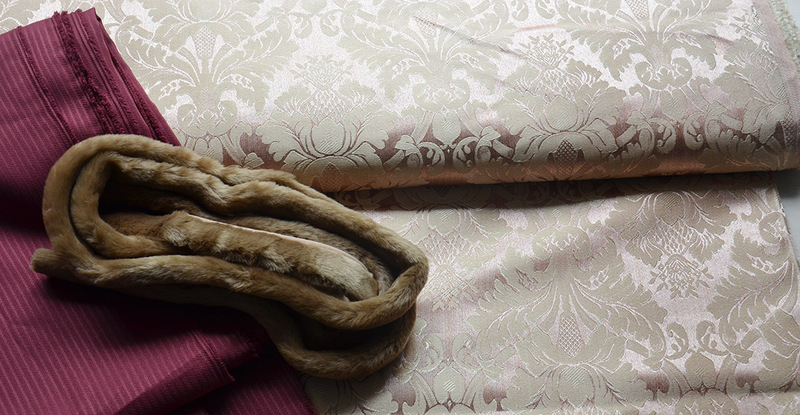 I have a lot of plans and hopes for the next couple months – an early 1800s velvet court dress, another menswear project, an embroidered 18th century gown, and lots of others. But the two that I really must finish are a damask print medieval dress and a short lace dress, which i’ll be wearing to my uncles wedding. 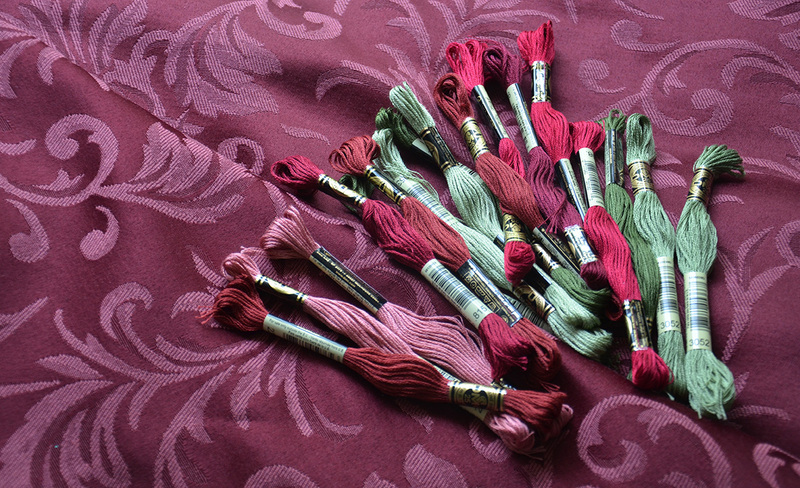 I’ll have more info on the lace dress soon, but here are the materials for the medieval one. This will be my next “The making of” project on youtube, so I need to get started on it soon! 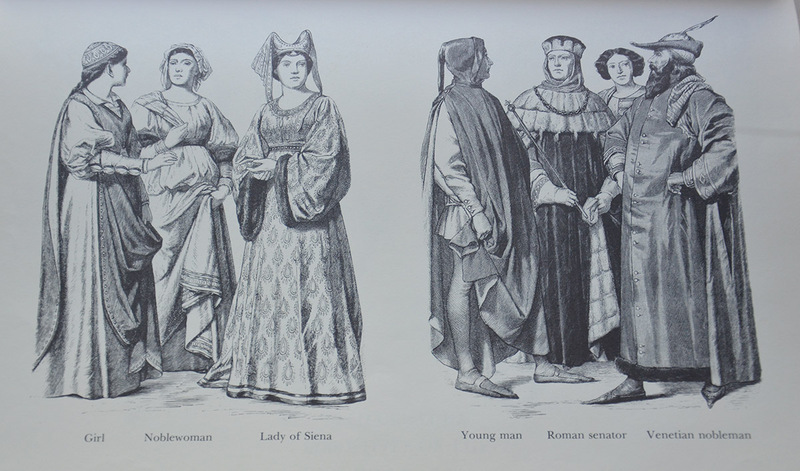 I’m not completely set on a design yet, but it’s mostly based off this painting of Eleanor of Portugal and the women’s dresses below. Whatever I end up doing will be worn with a gold headpiece, I bought some gold mesh especially for it. And the final thing I wanted to mention is that i’ve opened an etsy store. 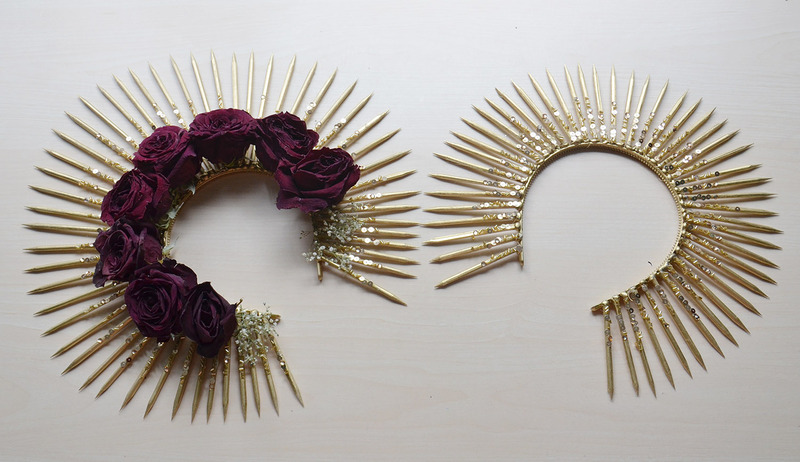 I really want to sell spiked headpieces like the ones I made to go with my Heinrich dress. I have all the supplies for it, so now I just have to make a bunch of them and figure out how to work paypal, then i’ll be in business! And that’s it for today – this post became much longer than I had intended, but I had a lot to share. A “The making of” post should be up early next week! She did all of this in such a short time. Gosh!!!! I need to work that fast. I am also very inspired by all she has done. I’ve been following you since you first started sewing I am amazed at your creations I have sewing for 30+ years and have never had this kind of imagination or ambition. I am so Proud of how far you have came in your talent in such a short time. I wish I had your kind of talent, you don’t see many young ladies that are as talented as you are. Keep up the AWESOME work I look to seeing you going far with this. Keep up the amazing work! I really enjoy all the projects you work on, and I’m very excited to see more menswear come from you!